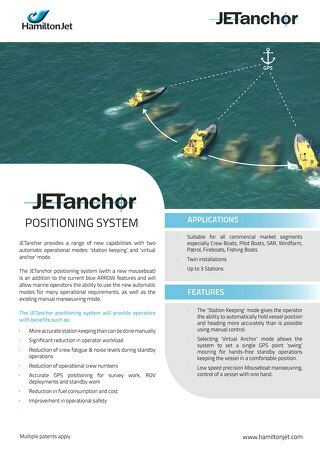 JETanchor provides a range of new capabilities with two automatic operational modes: 'station keeping' and 'virtual anchor' mode. 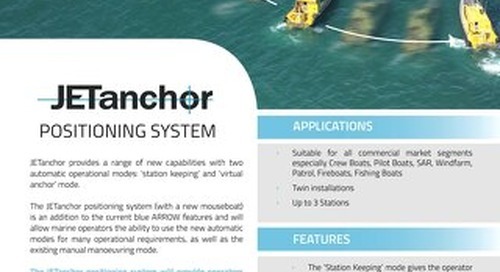 The JETanchor positioning system (with a new mouseboat) is an addition to the current blue ARROW features and will allow marine operators the ability to use the new automatic modes for many operational requirements, as well as the existing manual manoeuvring mode. Albear is the marketing manager for HamiltonJet, based in New Zealand.